Found commonly in wet, open habitats. 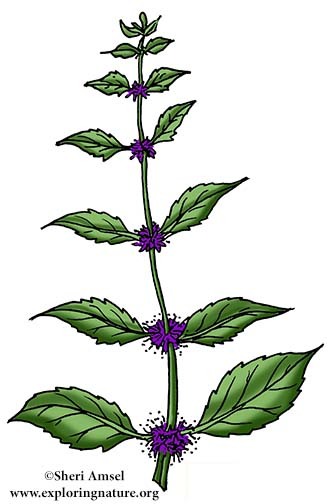 Wild mint had a distinctive look with its light purple flower clusters wrapped around each leaf axil. Crushing a leaf and smelling the mint will also help to identify this wildflower.